Thanks to an experience day voucher (perks of being an Action Man on birthdays and at Christmas,) I got a full tank of diesel and made track for Armourgeddon in Leicestershire for a session of tank driving. The facility offers a wide range of activities, such as archery, clay pigeon shooting and paintball, but it is most famous for its more armoured pursuits with tank driving and tank paintball, the only one of its kind in Europe! Armourgeddon truly is an Action Man’s playground! 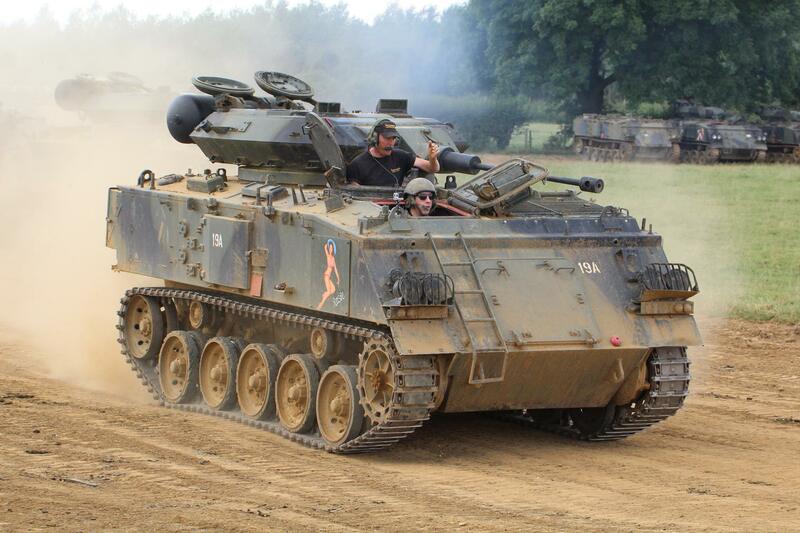 Any ticket or voucher for an activity, grants you free access to the site’s military history museum, spectators are also welcome and can visit the museum for a cost of just £5, which features a wide, varied and interesting range of military vehicles and equipment. 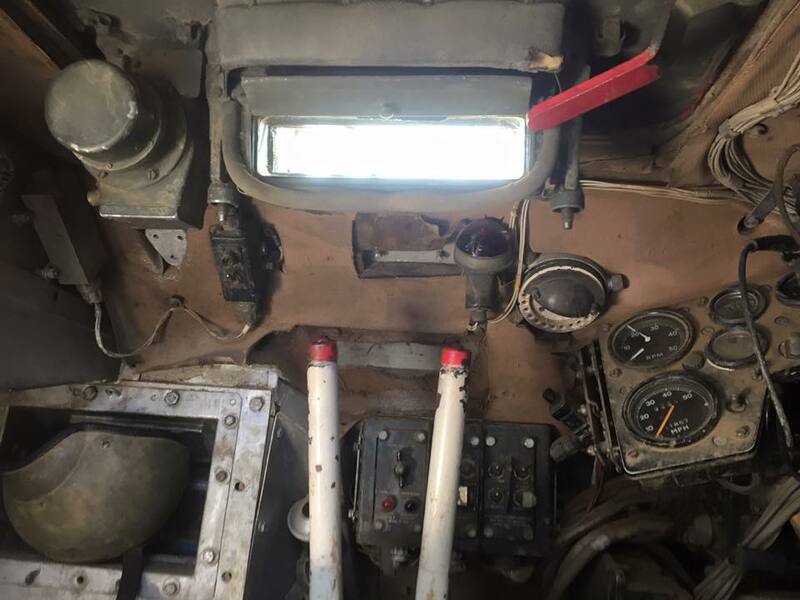 I had a tank driving experience (pre-booking required,) and once fitted with a helmet and given the brief health and safety instructions, I was given a tour of my FV432 named ‘Rosie’. This model of armoured personnel carrier is still in full active service to this date, so the experience gives you a very realistic and authentic taste of what our armed services deal with and whilst it’s top speed of 32mph, which doesn’t sound like much on paper, I can assure you that on the rugged terrain for which it was built that speed certainly feels quick enough! I was given a tutorial of the controls by instructor and army veteran Louis, who then took us on a lap of the course to get a feel for the vehicle, then came Action Man’s turn. Just an accelerator pedal, two levers for steering and breaks looks easy enough, but when trying to manoeuvre 16 tonnes of steel for the first time, it can take a bit of getting used to, but it’s not long before your kicking up some serious dust. Just as you get comfortable it’s time to turn it up a notch in combat mode with the hatches down reducing visibility considerably, likened only to peering through a letterbox. Technically very challenging but the whole experience which lasts for almost an hour, it is immense fun and personally a massive tick on Action Man’s bucket list. 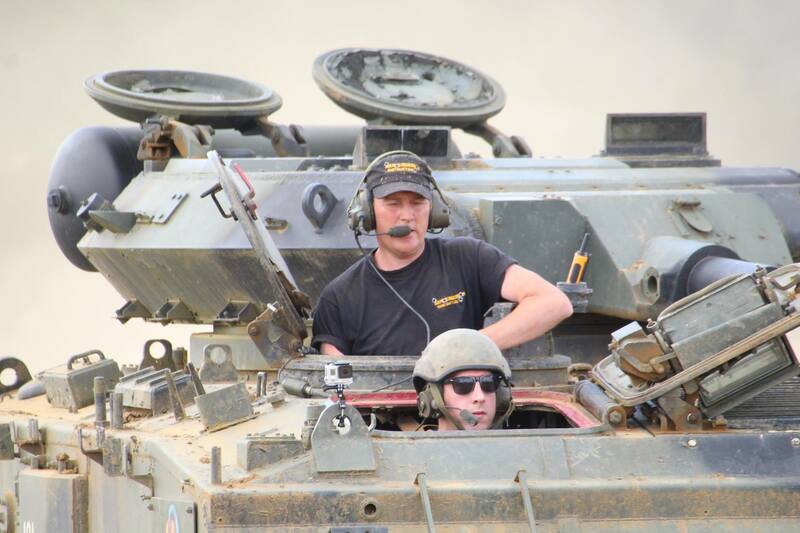 This incredible two hour long experience is perfect for a large group, club or corporate function, ever wanted to shoot a colleague… with a tank?